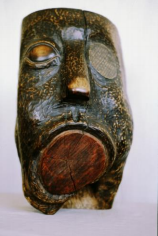 Top Photo: Wang Keping, Silence (1978). Photo courtesy Helmut Opletal. Award-winning filmmaker Gaylen Ross, co-directing with Andy Cohen, is finalizing post-production on Beijing Spring, a feature-length documentary on how Chinese artists pushed the boundaries of freedom after the death of Mao Zedong in the late 1970s. 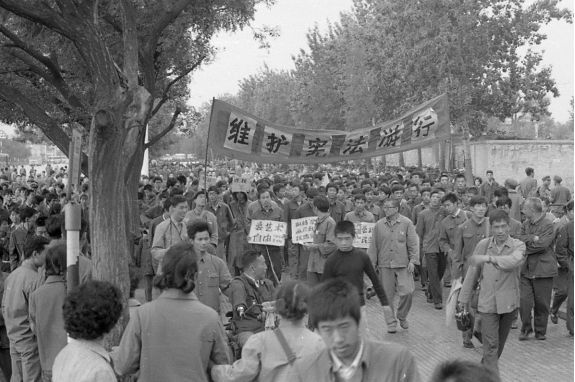 “Artists and activists (including Wei Jingsheng and a young Ai Weiwei) dared to voice their ideas, until the government cracked down again, shutting the door on this brief moment of reform known as the Beijing Spring. 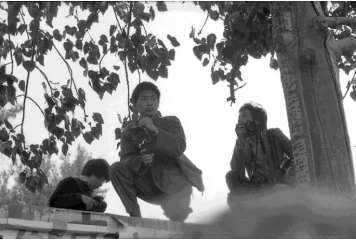 Now, forty years later, Beijing Spring tells the story of the Democracy Wall, and the artists and activists who created it, as has never been possible before: with reams of never-before-seen 16mm footage, hidden from the Chinese authorities for decades.” Read the full press release here. Ross is known for directing Killing Kasztner: The Jew Who Dealt With Nazis, a story about the assassination of Reszo Kasztner, a man who saved thousands of Jewish lives during the Holocaust. “Yes, it’s about the Holocaust,” said FF2 Media Editor-in-Chief Jan Lisa Huttner in a 2009 review of the film, “but Killing Kasztner also addresses urgent issues equally relevant in our own era. Gaylen forces us to confront the paradox of negotiation.” Ross discussed the film, an official selection of the Toronto International Film Festival, in a follow-up interview. Her other documentaries Caris' Peace, Listen to Her Heart: The Life and Music of Laurie Beechman and Dealers Among Dealers among others. Cameraman Chi Xiaoning (1979). Photo courtesy Wang Rui. Co-director Andy Cohen is Executive Producer of artist Ai Weiwei’s Human Flow and and the Oscar short-listed films Hooligan Sparrow and Never Sorry. Beijing Spring will be released in 2018 by AC Films.